Sidmouth has beautiful gardens, regency buildings, fine hotels, clean beaches and friendly shops. This resort, lovely seaside town nestling beneath majestic red cliffs was most fashionable in the early 19th century and was visited by Queen Victoria in her youth in 1819. Victoria and her parents stayed at Woolbrook Cottage, now known as the Royal Glen. Sadly Victoria’s father, the Duke of Kent, died here the following year. Victoria never returned but donated a stained glass window to the Church of St Giles and St Nicholas in memory of her father. The pebbly beach is an ideal place in which to relax on a deckchair. 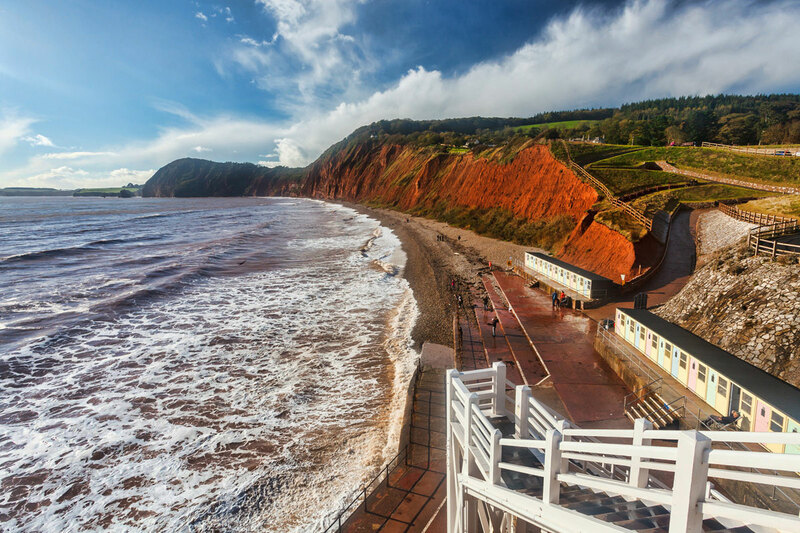 The more energetic can always climb the 500 feet high Peak Hill to enjoy the magnificent panorama Sidmouth and the coast far below. In the other direction is the equally commanding Salcombe Hill whilst inland are the green hills of the pretty Sid Valley. 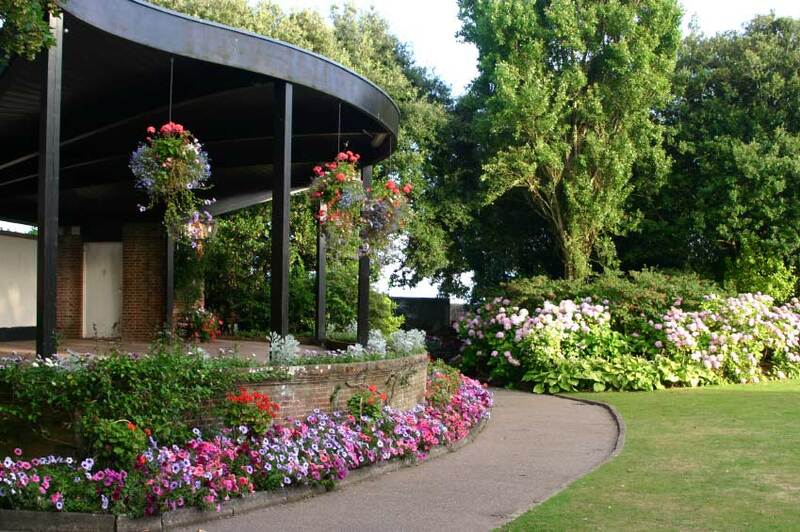 Alternatively there is always a gentler stroll around town, through the park and gardens and along the seafront. This is linked by a walkway to the western beach at Jacob’s Ladder. Sidmouth’s park, The Byes, is a delightful riverside walk and quiet sanctuary. There are popular guided walks from the Heritage Centre taking in the main landmarks of the town. A ford still takes traffic across the River Sid. The Esplanade is a mile long and is backed by York Terrace, a lovely row of Georgian houses with wrought iron railings. There are various ornate cottages in the resort, built by wealthy visitors from the late 18th century onwards. Most of these were positioned to enjoy the lovely views over the former fishing village and the sheer, red cliffs. The Sidmouth Museum has an interesting collection of prints and lots of information about the Victorian resort. It has a costume gallery and a particularly good display of local lace. For many years the town has been host to the International Festival of Folk Arts. This is a festival of folk singing and dancing featuring artists from all around the world. It culminates in a torchlight procession through the town. There are many interesting walks and drives around Sidmouth. 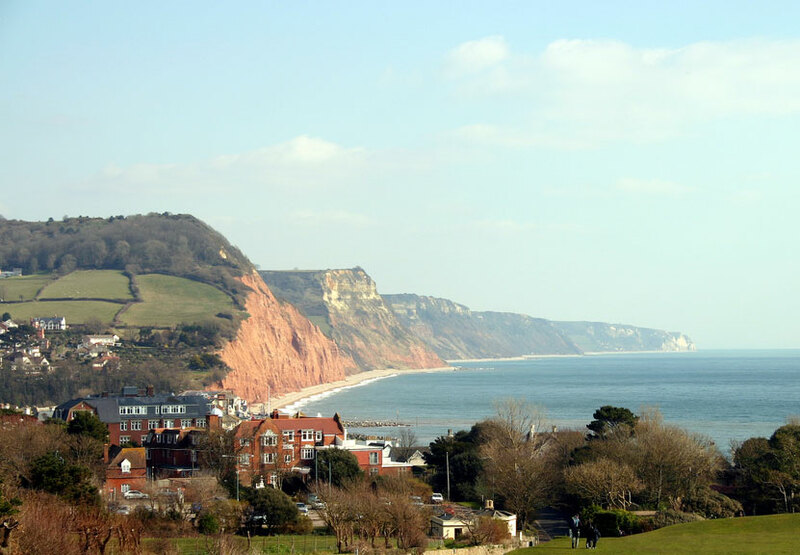 The nearby villages of Beer and Branscombe are both worth visiting en route to Seaton, the next sizeable resort.